instinctively, without the aid of the diagrams. 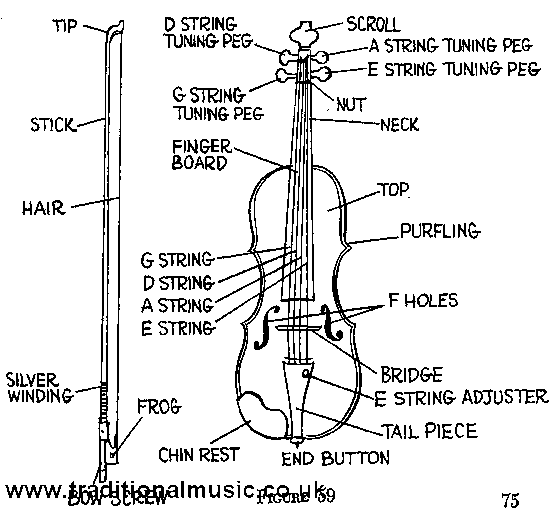 wire; and the G string of gut covered with silver wire. piece, to which it is fastened with gut.